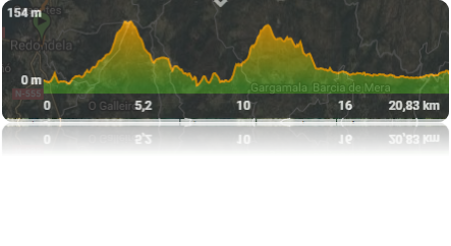 For the ones who don’t have 12 days, we prepared a 7 days shorter program of our Caminos of Santiago. 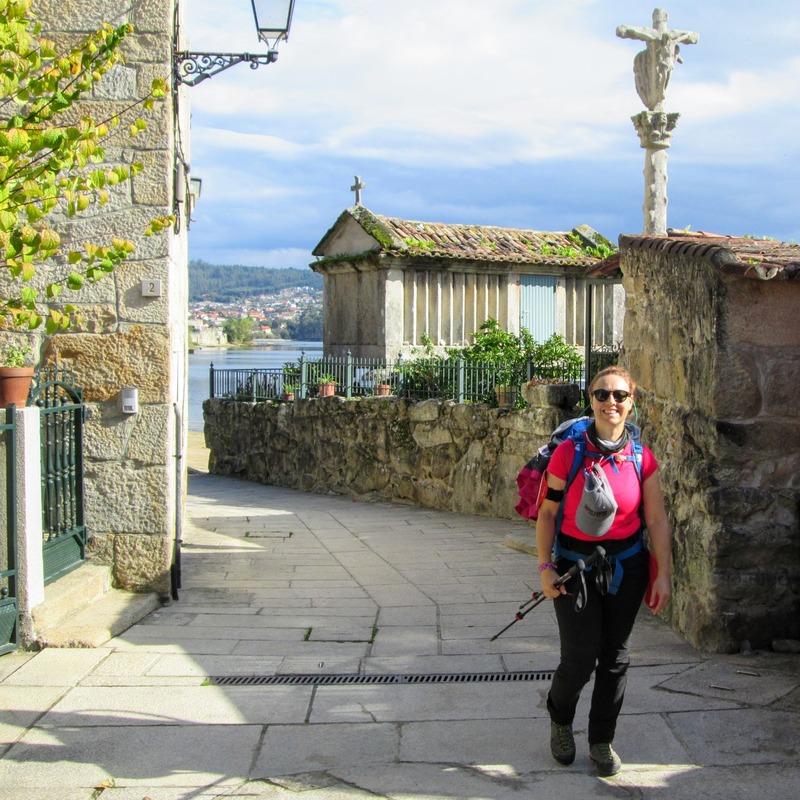 There are many pilgrim routes to Santiago, but none is fuller of significant and soulful than the “Old Portuguese Spiritual Route of the Caminos of Santiago”. 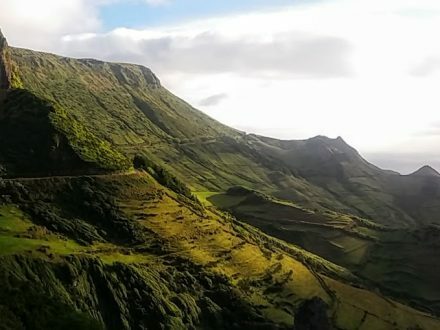 According to John Brierley, author of the best seller “A Pilgrim’s Guide to the Camino Portugués”, to “walk the Portuguese Way is to travel back in time while going forward into a new era of spiritual renewal and awakening. 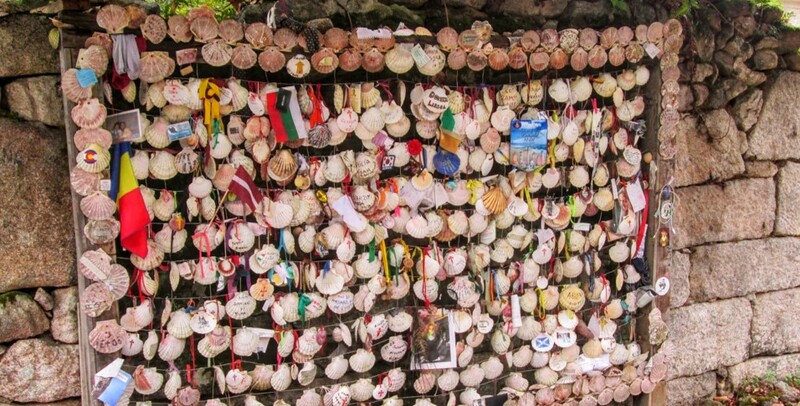 While rooted in its pagan, Roman and Christian history, the Camino portugués is open to everyone from every religion, or none”. Welcome to our Caminos of Santiago. 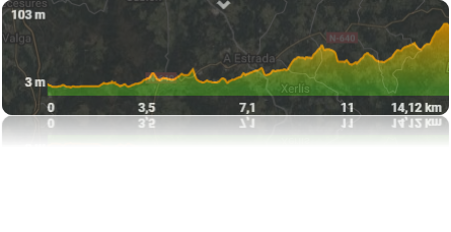 The first part of this 1st day of hiking is by the most coastal part of Vigo, after which we will start to climb, further inland, towards a plateau where we will do much of the way. 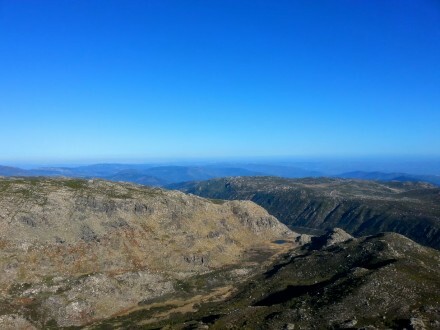 Once we have reached these highlands, the beautiful view extends throughout the city of Vigo, as well as to the other bank of the great Estuary of Vigo and, to our left, beyond, the entrance of the channel we crossed in the previous day. 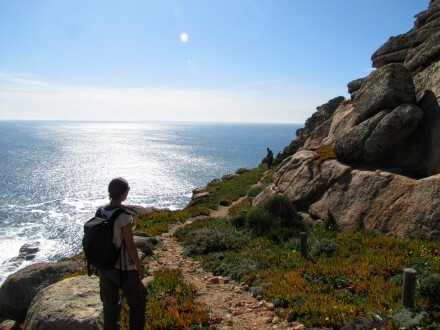 About 2 hours after we are walking on this great plateau we will enter in a nice wood from which we will only leave when we begin to descend to our goal of the day, the coastal village of Redondela, created in the middle of the 13th century. Until then we will pass through some small villages. 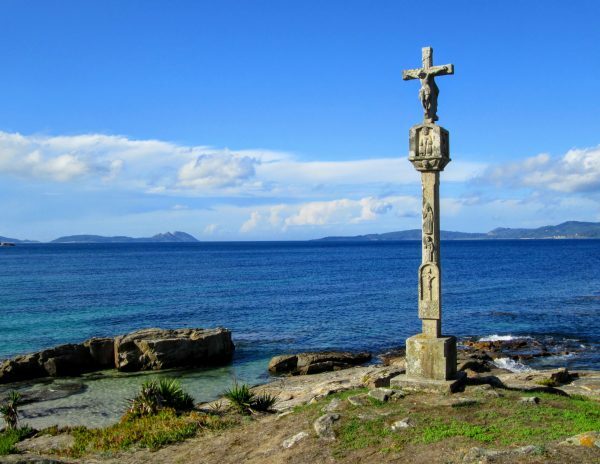 The overnight stay will be again in Vigo, where our travelers, given this is not a long leg, will have time to get to know this city a little better with a long and full history that began around the 2nd century BC. On this 2nd day, we resume the path where we finished the day before, in the village of Redondela, where several personalities were seduced by its charm, among them the poet Federico García Lorca, famous Spanish poet and playwright, one of the first victims of the Spanish civil war. From here the path goes up and near the top of the hill begins a wood where we will continue for about 3 km until we reach Arcade, a town famous for the quality of its oysters. However, Arcade is also known for its beautiful medieval bridge which full of symbolism, because it was here that the French were defeated in a battle which marked their retreat in the Spanish War of Independence. 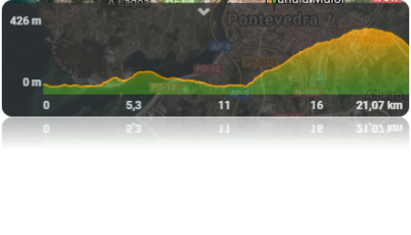 From here the path repeats itself, as we have a new hill to go up and near the top of it we enter and leave several small forest corridors almost until our destination of the day, the beautiful city of Pontevedra. It is here that we will spend the night in a beautiful hotel located right in the historic center and inside an old Renaissance palace from the 16th century. 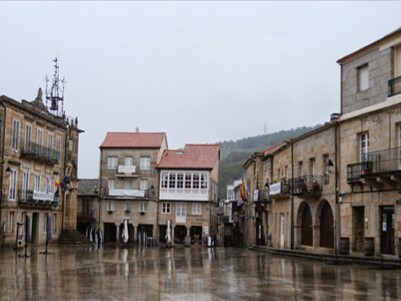 After dinner at the hotel, we propose a walk through the streets of the historic center, which can be proud to be one of the most beautiful and well preserved in all Galicia. The day starts with a visit to the historic Gate of the Pilgrim, built in 1778, is one of the most symbolic of the city, being also the sanctuary of the Pilgrim Madonna. 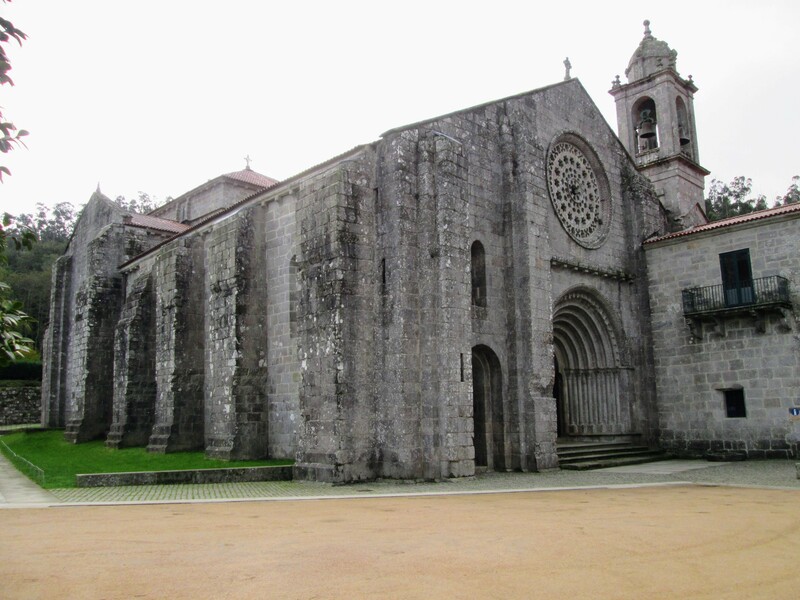 After this visit, we will start this stage which will take us to two of the more emblematic monasteries of this great spiritual route to Santiago of Compostela, and it will be in one of them where we will sleep this night. At the exit of the city, we cross the Burgo bridge, also with a rich history. Of Roman origin, it was in it that the Kings Fernando II of Leon and Galicia and Afonso Henriques of Portugal signed a treaty of peace. About 2 and half hours later we will arrive at the Monastery of Poio, dated from the 7th century, reached its apogee in the middle of the 16th century with the creation of a college of theology in it. Throughout the centuries had several restorations, having been in the 17th century, with the construction of the church that assumed the present form. It is one of the most important places for the pilgrims, having a mosaic with 200 square meters representing the way to Santiago. 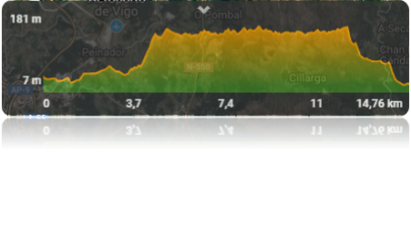 About 3 km away we will start climbing the mountain that will take us to our destination, the austere and reserved Convent of Armenteira. It will be in this highly spiritual place that invites to introspection and meditation, that we will dine and sleep. An intimate experience of reunion and surely one of the highlights of the whole journey. 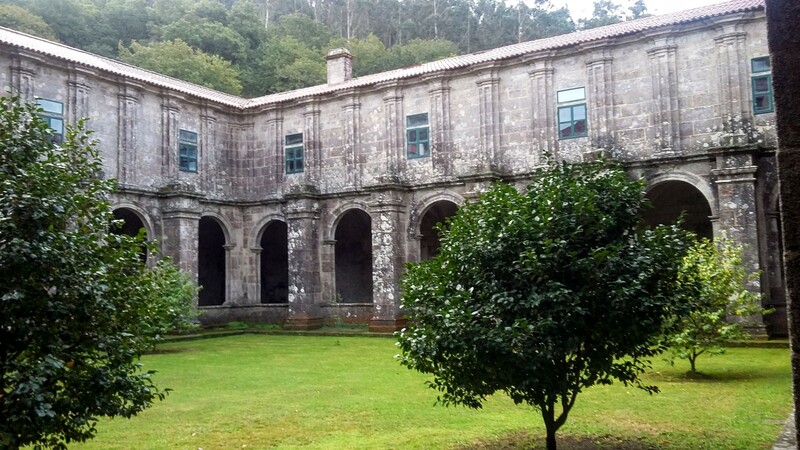 After spending the night in the quite Armenteira Convent we will start the ninth day of hiking. The first part of the path is made inside a beautiful forest. Always accompanied by the crystalline waters of a beautiful stream and its granite stones, we continue until we reach a village whose life is represented by statues in stone. 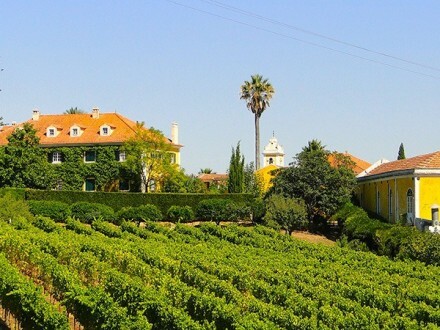 About 3 hours later we will arrive at the village of Cambados, Capital of Alvarinho, one of the best white wines (in Portugal is known as Green Wine) in the world and that was European Wine City in 2017. 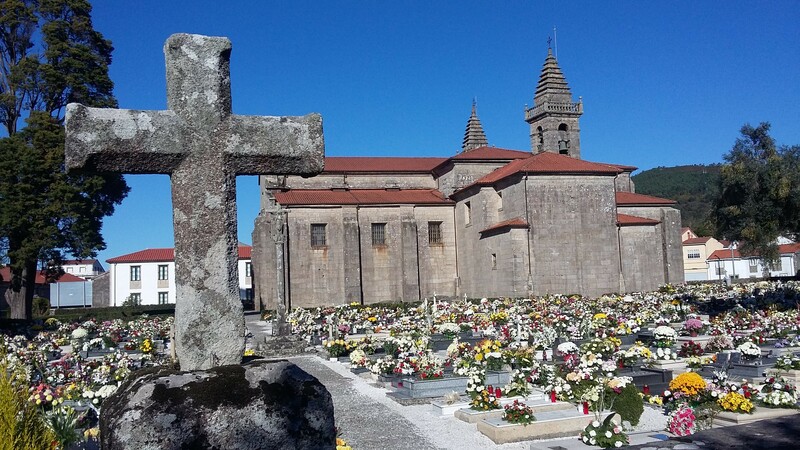 Although its origin is late when compared with other towns in the region, since it was born in the 16th century, Cambados is an authentic outdoor museum carved in granite, as it is home of one of the most well-preserved historical sites in Galicia. It will be here that we stay in an elegant mansion with the traditional traces of the old and tradition “Sunny Houses of Galicia”. As this stage is one of the shortest, our travelers will have time to enjoy this beautiful village. This day begins with a long and nice boat ride. 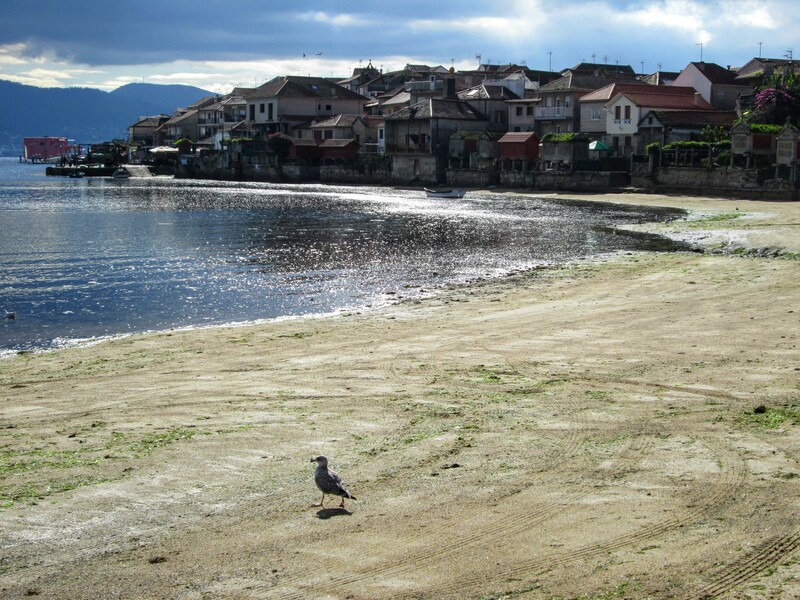 First, by the estuary of Arousa, one of several that make up the great complex of the “Rias Baixas” (Low Estuaries) of Galicia and which is not only the largest estuary in Galicia but also in Spain. It is famous for its rich marine fauna and its beaches and islets. 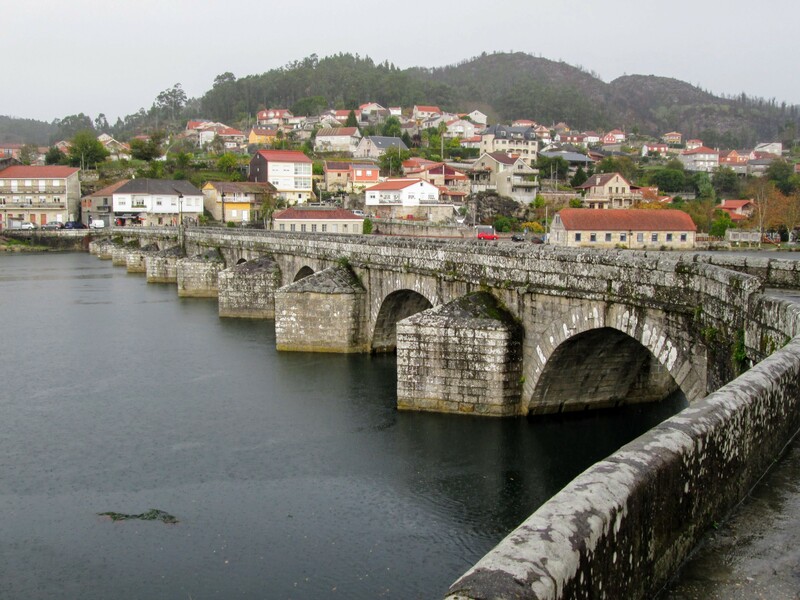 Then we enter the Ulla River, which rises 640 meters high and separates the province of A Coruña from Pontevedra. 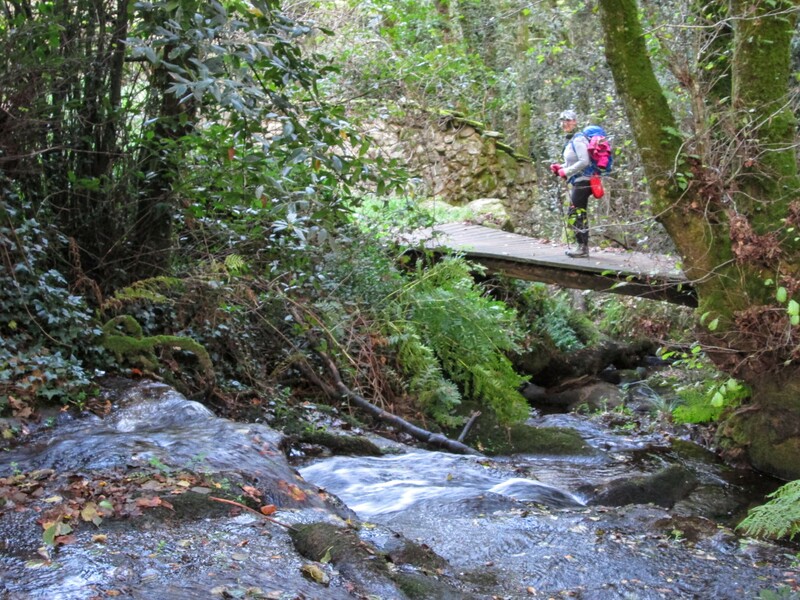 It is one of the largest rivers in the region, and its watershed is the second most important of all of Galicia, the first is the one of Minho River that we crossed on the 2nd day of our adventure. The recreation of a Viking boat at the mouth of the river is another attraction of this river/sea ride. It remains to be said that this is the only maritime Via Sacra in the world, just as it was through it that the remains of the Apostle Saint James were transported. After this tour, which saves us more than 30km of the road, we begin our walk. Afterward passing through several villages we arrive at our destination, the village of Parada de Francos and it will be in the “Casa Grande de Cornide” that we will spend the night, a very pleasant spot and where our travelers will find all the conditions for a deserved rest and a nice dinner. 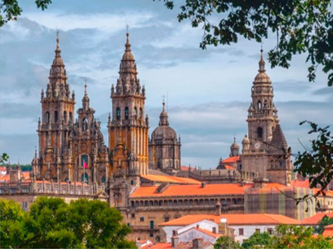 This is the 6th day of our journey and is the one where we arrive at our final destination, the monumental Obradoiro Square, in Santiago of Compostela. 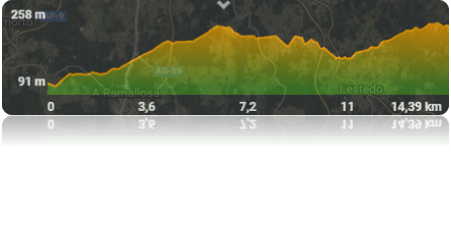 Before, however, we still have the last 14 km to be done. Nothing is really relevant in this last section except, when just over 4 km from our goal, we see the huge towers of the cathedral. About 4 hours after we started this last walk, we arrived at the impressive Obradoiro Square. This is a time to “drink” everything that surrounds us, because rare are the places where we can feel so much magnificence simultaneously with the greatness of the secular buildings that surround us. The current Romanesque Cathedral, flanked by two columns with 74 meters high invites to contemplation. This square has the capacity to condense the customs and the millenarian history of the city. A 360-degree turn allows us to recognize the presence of different architectural styles, which have arisen in more than 700 years. 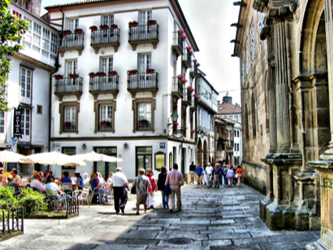 The monumental buildings that surround it are representatives of the main centers of life in the Galician capital: religion, university education, attention to the pilgrim and the Administration. After this moment, we will settle in the magnificent Museum Hotel San Francisco. This former Franciscan convent is the perfect place for our travelers to spend their last night. The afternoon is free. The reunion will be at the end of the day where we will have our farewell dinner. This is the last day and is the day that after breakfast our bus will take us back to the capital of the North of Portugal, the city of Porto. Behind stay 7 days in which we cover about 200 km, but we also cover about 2000 years of history. 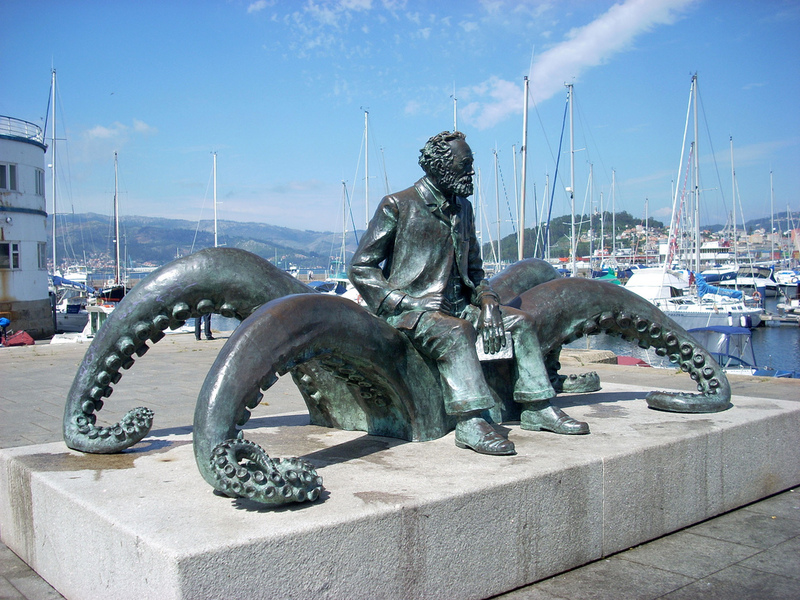 We have also seen how the people of Galicia, live. We know their ancestral culture and we felt the weight that the Catholic Religion has in these latitudes, as well as the force of faith that here move a whole people from the time of the Romans to the present day. 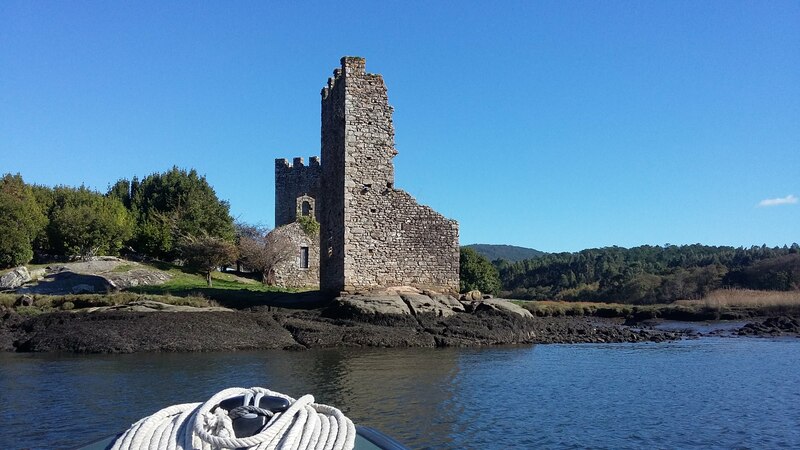 We were also aware of the “Rias Baixas” (Low water estuaries) as well as the importance they have, since always, in the life and economy of this region. We slept in convents and felt their peace and tranquility. We understood, finally, a little of the Soul of these proud people clinging to their faith and traditions. In these cases, the walks will be run on another date to match or replaced by another, if possible. If the cancellation of the tour is an inevitability, either because the persistence of weather phenomena / environmental mentioned above, or customers inability to schedule, we will refund 75% of the amount paid, provided that cancellation occurs within 24 hours before the beginning of the purchased holiday pack, except the costs with accommodation already paid. 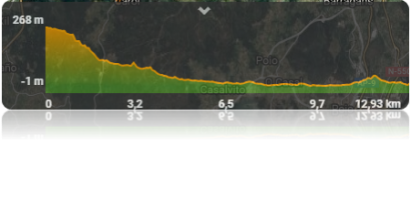 The remaining 25% will be for Walk Hike Portugal pay the logistics/bookings costs to imply in all our walks. In case the reason is due to withdrawal by customers, Walk Hike Portugal return 100% of the amount paid provided that it occurs until 60 days before the tour date. If the withdrawal occurs until 45 days before the tour date we will refund 70% of the amount paid. If the withdrawal occurs until 30 days before the tour we will refund 50% of the amount paid. If the withdrawal occurs later than 30 days before the tour we will not refund any of the amount paid. The exception is with the costs with accommodation already paid, which won’t be returned to the customer, no matter the timing of the cancelation. All transfers included in the program, beginning in Vigo city. Accommodation in twin bedroom with breakfast. The name of the hotels and link to each website is in the accommodation item in the description of each of the days. The accommodation on the NH Collection Vigo Hotel in the night of 17th to 18th is included. All meals included in the program, as also the welcome dinner on the arriving day in Vigo – 7 breakfasts + 4 picnic lunches + 4 dinners. 1 or 2 track guides depending on the number of participants. All activities included in the program. 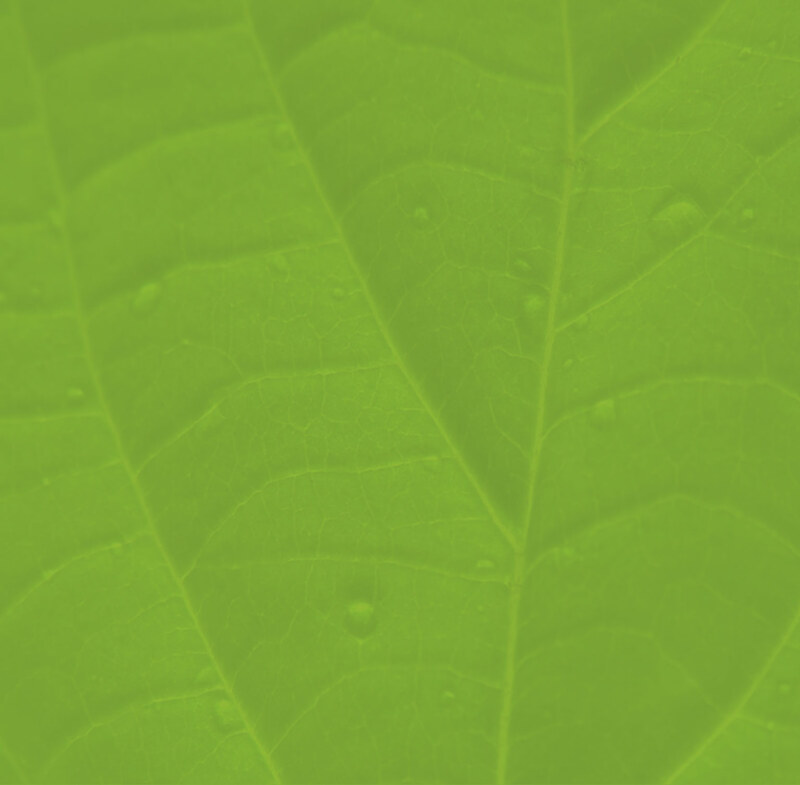 The legally required Personal and Liability insurances. Any costs concerned to flights, airport taxes or any other cost not mentioned or included in this program. All the taxi transports not included in the program, such as the ones concerned with force majeure reasons like people who are tired or injured. In these cases, the client will pay for the transport to the taxi driver. The dinners in days 1, 2, 4 and 7. The picnic lunch in day 4, 6 and 7.